Shyam Benegal is an Indian director and screenwriter whose work is considered central to New Indian cinema. By closely analysing several of Benegal’s films, this book provides an understanding of India’s post-independence history. The book examines the filmmaker’s focus on women by highlighting his subtle and critical engagement with a truism of Indian nationalism: women’s centrality to the (nation-) state’s negotiation with modernity. It looks at the importance Benegal accords to history – its little known, contested, or iconic events and figures – in crafting national culture and identities, and goes on to discuss the filmmaker’s nuanced representation of the developmental agendas of the nation-state. The book presents an account of the relationship of historical film and fiction to official history, and provides a fuller understanding of Indian cinema, and how it is shaped by as well as itself shapes national imperatives. Filling a gap in the literature, the book offers an analysis of cinematic treatment of post-independence narratives and gives important insights into the imagination of the time. 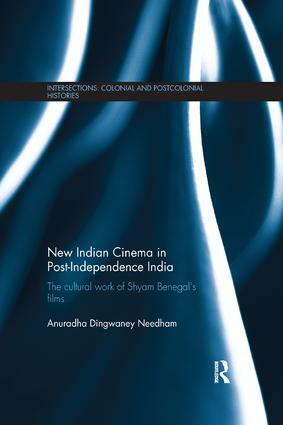 It is a useful contribution for students and scholars of Film Studies, South Asian History and South Asian Culture.